When it comes to luxury and technology features, none can duplicate the Mercedes-Benz E-Class. In fact, U.S. News says “there are few features and technologies that the E-Class doesn’t offer.” So, if you’re considering a Mercedes-Benz lease, the E-Class is a great option, especially you’re pining for upscale amenities like 64-color ambient lighting and a 12.3-inch COMAND® display with a touchpad controller. The E-Class is offered in sedan, coupe, cabriolet, and wagon body styles, giving Napa drivers plenty of options. 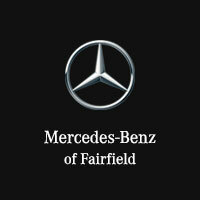 Explore our current Mercedes-Benz lease specials for the E-Class, then schedule a test drive in Fairfield! Don’t Miss Our Mercedes-Benz Lease Offers on the New E-Class! Interested in one of the Mercedes-Benz lease specials above? Our sales and finance team can help you navigate Mercedes-Benz leasing, from getting pre-approved online to choosing viable rates and terms. Contact us with any questions about our Mercedes-Benz lease specials, or the E-Class vs. competitors like the Jaguar XF. You’re also welcome to visit our dealership near Vallejo and Benicia for in-person assistance!